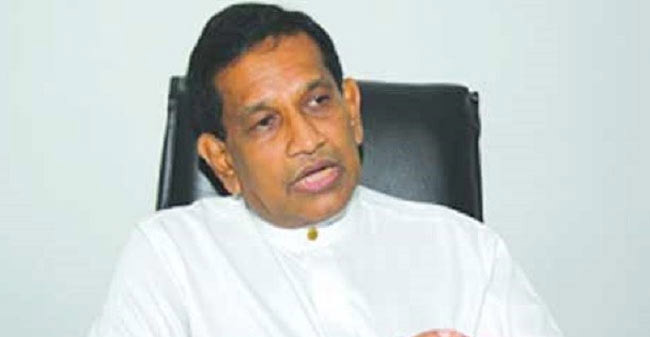 Health Minister Dr. Rajitha Senaratne yesterday in Parliament denied reports that expired stocks of drugs stored at the State Pharmaceuticals Corporation’s warehouse were passed to the private sector.The minister made this observation in reply to COPE Chairman Sunil Handunnetti over his statement following an inspection tour of a SPC warehouse on Thursday. “This particular SPC warehouse has been used to store expired drugs which are to be destroyed and to store various problematic batches of drugs imported to the country pending clearance. It has been there for a long time and those stocks are subjected an audit system. Last year, the total value of expired stocks of drugs was about Rs 300 million. However, now we have introduced a new software system and it has helped to streamline medicinal drug distribution. Therefore, I urge MP Handunnetti to inquire from the SPC too before coming to such a conclusion,” he said. MP Handunneti at this point said they have fairly reasonable doubts that some of these drugs could have been passed on to private pharmacies after been stored there for a long time and as there is only one storekeeper in charge of it. “When the COPE was investigating into the SPC, we found expired medicinal drugs worth Rs. one billion had been removed between 2003-2015. We immediately decided to make an inspection tour of the warehouse, but we postponed it as the subject Minister was hospitalised in Singapore at that time. When we made this inspection tour, we were already aware that expired stocks of drugs were stored at the warehouse.However, the problem is that the warehouse also contained usable stocks of drugs,” Handunnetti said.